With this video, part of the Yardening video series, host Jeff Ball explores the world of the vegetable garden and shows viewers how to grow their own produce at home. He shows viewers how to begin and nurture a 200-square foot garden that will produce at least 400 pounds of vegetables, if done right. 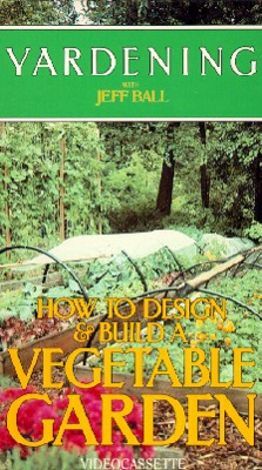 Viewers will learn how to create a raised bed system of planting that saves time and energy and how to prepare the soil for the perfect vegetables. This video shows what techniques can be utilized to extend vegetable productivity season an additional three months, no matter where you live. Jeff Ball also shows viewers some of the latest developments in vegetable gardening.